Usually I bake at home, but once in a while I’d want to bake at the caffe. We’ve had this convection oven for a while, but haven’t got a lot of use of it… John and I decided to remove the microwave from the caffe (we almost never use it!) and replace it with the convection oven. 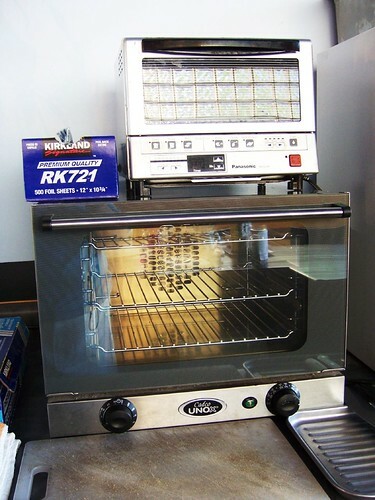 The “oven dual”: a toaster oven and a convection oven. And I’m going to bake all sorts of goodies at the caffe from now on. Yay!